It’s the WordPress Weekly Photo Challenge. 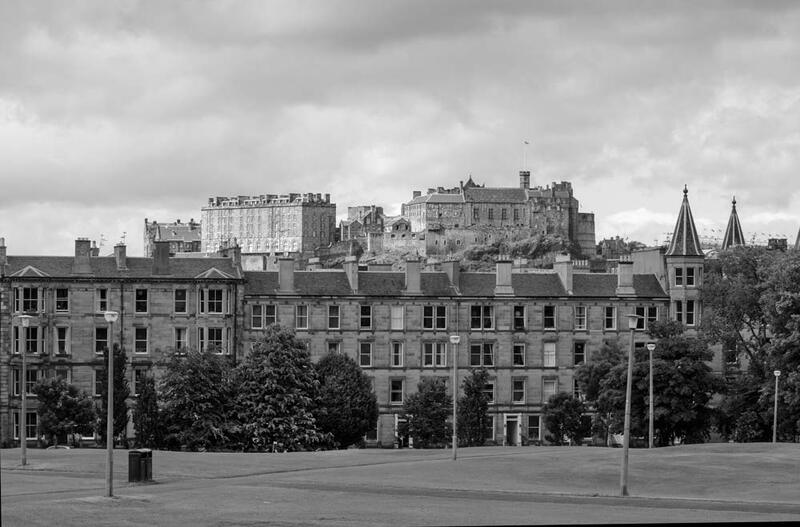 As it happens, I was working on these views of Edinburgh when I looked at the Challenge to see whether the images would fit. And the view does keep me company because it is the dominant skyline as I walk across the Links and the Meadows into Edinburgh. I remember the first impression I had of Edinburgh. We’d parked the car in the Travelodge on the south side of the city and took the bus into the city centre. As we passed the High Street/Royal Mile, I looked up the street and was knocked back for a second. It looked so strong and dark and brooding and powerful and heavy and – and not somewhere to cuddle up to, which is kind of what I like in architecture – somewhere to be comfortable with – to soothe the soul and ease its passage through the day. But the people here make up for the dour buildings. 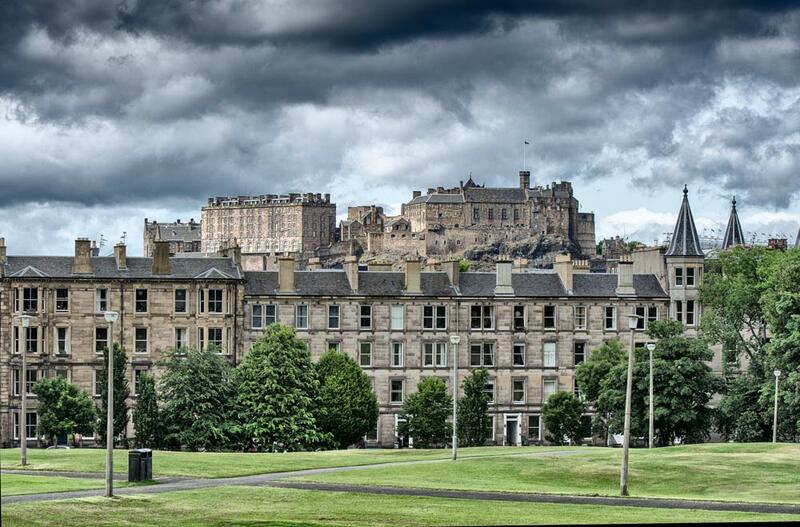 At the top of the High Street/Royal Mile there is the castle – and that is what you can see in these views – peeking out from behind the terrace at the lower end of the Links. I shot this with a 300mm lens (450mm equivalent in full frame) so the view is foreshortened and compressed. But as I walk into town, my eyes leapfrog the buildings and settle on the castle, so the long lens mirrors what my eyes do. So I tried different blending modes between the monochrome and coloured versions and it occurred to me that while I didn’t particularly like all of them – we are all different. Have you ever had that conversation where you ask someone what’s important about the house or apartment in which they live or would like to live? I always imagine not just the house but also the streets beyond – and out into the edge of town and beyond. That mental picture inhabits how I feel about a house. I like the coloured one, the blue colours in the sky too fabulous to miss. Thanks, Anette. There are some good skies over Edinburgh at this time of year. Not like in the photo, but more like in the Simpsons (the cartoon).